Preliminary Note: This article does not have any specific blogger in mind when writing this. Nor am I judging the state of any person's soul. I am merely stating that certain behavior is wrong, whether the person who holds to such beliefs does so sincerely or not. There are a growing number of Catholics who were perhaps once less informed and less diligent in their faith and have been granted the grace to seek to grow in their faith and to be more steadfast. They recognize that the Catholic Church is the Church established by Christ and seek to grow more faithful. Yet we do see disputes on the internet. Certain bloggers say that true Catholics must heed [X] while others say [X] is a modernist heresy. This leaves the Catholic seeking to be faithful in a quandary. What are they to make of these disputes? I firmly believe we have a sure sign which shows us whose presentation of the Catholic faith is counterfeit: If the blogger or writer sets himself or herself as a judge of the Magisterium, they are not authentic, but counterfeit. It is undeniable for anyone who would be authentically Catholic that Jesus Christ linked Himself with His Church. He placed His Church into the hands of the Apostles with Peter as the visible head of the Church, saying that what they bound on Earth would be bound in Heaven (Matt 16:19, Matt: 18:18). He made clear that those who rejected them rejected Him (Luke 10:16), and that if any would not listen to the Church, they were to be treated as a tax collector (Matt 18:17). Since He said these things and also told us that if we love Him we will keep His commandments (John 14:15), and that if we keep His commandments we will abide in His love (John 15:10) it follows that in order to follow Christ, we must follow the Church. ﻿2﻿ and asked him for letters to the synagogues in Damascus, that, if he should find any men or women who belonged to the Way, ﻿he might bring them back to Jerusalem in chains. ﻿3﻿ On his journey, as he was nearing Damascus, a light from the sky suddenly flashed around him. ﻿5﻿ He said, “Who are you, sir?” The reply came, “I am Jesus, whom you are persecuting. Note He did not say, "Why are you persecuting my people?" He said "why are you persecuting me?" An attack on Christ's Church is an attack on Christ. In short, Jesus established a Church in which those to whom He entrusted it were to have the authority to govern it and to teach, and made clear that a rejection of those to whom He gave this authority was a rejection of Him. Yet in spite of this testimony, we have certain people and groups who claim to be authentically Catholic and yet dare to say that recent popes have taught error and that the Bishops in communion with the Pope are not to be listened to. Such people have the arrogance to make themselves an authority and an arbiter between God and His Church, declaring themselves to be in the right and the Church to be in the wrong. They say this even though Jesus Christ promised that the Gates of Hell would not prevail against the Church (Matt 16:18) and that He would always be with His Church (Matt 28:20). This arrogance is not simply found in the sedevacantists (those who deny we have a valid Pope) and the SSPX. We see many out there who argue one can be a faithful Catholic and reject Vatican II. We see people out there who accuse modern Church teachings to be "modernist" simply because it does not square with their personal readings of the individual who judges the Church. Ironically, such persons become little different than the liberal dissenters who deny the authority of the Church to teach on matters on sexual morality. They pick and choose what is "authentically" Catholic and judge the Magisterium based on this arbitrary decision. I would now like to discuss certain statements which can be seen as giant warnings of counterfeit Catholicism. 1) "I'm Not Disobedient. I'm Being Faithful to Past Popes and Councils." Consider this statement a giant red flag. Such a person claims that the current Magisterial teaching on a subject is contrary to past teachings of the Church. However, such a person is making an assumption which needs to be proven: That he or she correctly interprets the Patristics, the Popes and the Councils while the current Magisterium does not. No TRUE Catholic Holds [X]. Therefore the Magisterium is not truly Catholic. No matter what attempt a person may make to show why this individual is wrong, the individual will reject it as not being "truly Catholic." What such things ignore is twofold: That he properly understands the past teachings in context and that he properly understands the current teaching. If the individual errs on even one of the two, any judgments he makes on whether a current magisterial teaching is valid must be flawed. On What Basis Do YOU Claim the Authority to Authentically Interpret Church Teachings Against the Church? The Popes can point to their succession from Peter and the Bishops can point to their succession from the Apostles. The individual claiming to judge the Magisterium can do neither. It is an important point. The Magisterial teaching of the Church did not freeze in 1962. Nor did it freeze in 1870 or the end of the Council of Trent. Tradition is LIVING. Our understanding grows. The Church has never said [X] before Vatican II and then [Not-X] after Vatican II. The Church will never deny she is the True Church. However, she will grow in understanding as to what this means in terms of the power of the state and decree that the state does not possess the authority to force men to do what these men believe to be evil. 2) "History Shows Past Popes Have Had to Be Corrected"
This is deceptive. Certain Popes have of course had personal moral failings, but they have NEVER been corrected when it came to making a formal teaching on faith and morals. This applies to personal writings. Pope Benedict XVI wrote Jesus of Nazareth as a private person. 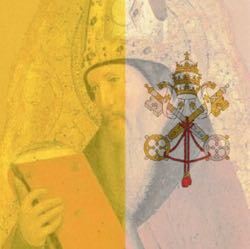 He wrote Caritas in Veritate as the Pope. Essentially this is the "We had to destroy the village in order to liberate it" statement. To defend a personal view of what the Catholic faith is, it ends up denying the authority of the Pope and the Bishops in order to do so. If the Vatican II and Post-Vatican II Magisterium fell into error, how do we know the Pre-Vatican II Church didn't? If Christ failed to protect the Church after 1962, what assurance do we have He protected the Church before 1962? 3) "Church Teaching [X] is not ex cathedra and therefore is not binding"
This one is probably the most dishonest argument and one which actually supplies ammunition to anyone (Atheist, Protestant, Modernist) who wants to attack the authority of the Church. Because it attempts to limit binding teaching to the infallible definitions and claims anything else is not binding, anyone who wants to attack a Church teaching can simply demand to see an ex cathedra (from the Chair) declaration. In fact certain dissenters have made use of this in trying to deny the authority of the Church teaching on contraception ("Well, Humanae Vitae wasn't infallible so I don't have to obey it!"). This sort of view is a distortion of Church teaching. The infallible definition is a strict definition used to make a specific statement about what must be believed. However the infallible declaration is not the only way the Church teaches. In fact the Church calls it an exercise of extraordinary (extraordinarius, from extra ordinem ‘outside the normal course of events) Magisterium. The Church uses the infallible declaration in rare circumstances when she thinks it is necessary. However, the Church has never taught that the Ex cathedra is the sole method of teaching. In other words, when the Church teaches in official documents, one cannot reject it on the grounds it isn't ex cathedra. I believe this adequately shows that the appeal to ex cathedra alone is a denial of the full authority of the teaching authority of the Church. Basically the person who uses this argument to deny Church authority in fact makes use of the fallacy of bifurcation: Either [Ex Cathedra] or [Not Binding]. However, if there is an option other than these, then the either-or is a false choice. Since the Church makes clear that it is NOT Either [Ex Cathedra] or [Not Binding] we can see such an argument shows the one who employs it is making a false statement (whether knowingly or not) about the authority of Church teaching. Of course the fact that such a person makes a false statement shows he or she is not qualified to judge the Magisterium. What ex cathedra statement teaches that only an ex cathedra statement is binding? Jesus said, "I am the vine, you are the branches. Whoever remains in me and I in him will bear much fruit, because without me you can do nothing. (John 15:5)" Since we have already seen above that Jesus links His authority to that of the Church, it follows that without His Church we can do nothing. This is not because of any special property the Church has in her own right – it is solely because the Church receives her authority from Christ who sends the Church forth (see Matt 28:18). Because of this, when one rejects the Church in a matter where she claims authority, such a person cannot claim to authentically represent the Church and the Catholic seeking guidance should recognize that such a would-be teacher is in fact peddling a counterfeit Catholicism. Parenthesis: Does the Arnobius of Sicca Blog Practices What it Preaches? I certainly do my best to do so. I claim no authority whatsoever to judge the Magisterium. Individual bishops may concern me at times and I may at times struggle to understand the teachings of why the Church acts as she does. However, I want to make it clear that I never want this blog to be viewed in opposition to the Magisterium. If (GOD FORBID) I should ever make a statement which seems to be contrary to the teaching of the Magisterium (I assure you this would never be deliberate), then please go with the Magisterium and do not invoke me as a source against it. I believe I personally have no authority to bind and loose, and this blog exists to point to the authority of the Church as well as to defend the teaching authority from those who reject it. If I seem to claim any other source of authority for myself in any of my writings (past, present or future) I apologize for writing unclearly.